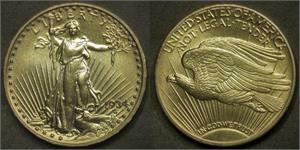 The controversial 1933 Saint-Gaudens gold Double Eagles were the last produced by the US Mint. Private ownership of them was subsequently outlawed, except for one example which was sold by the US Government to an anonymous buyer for approximately 7 million dollars. 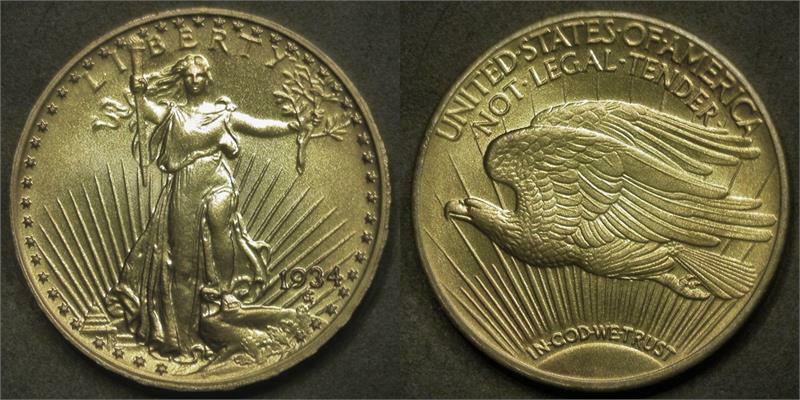 This "1934" edition remembers and protests President Roosevelt's confiscation and outlawing of the use of gold as currency in 1933.